On one hand, we’ve developed a Virtual Reality App showing the 3 dimensional demonstration all around the user – this runs on iOs or Android smartphones placed in a VR Glass. As you hold the glass in front of your eyes, you will feel like you’re sitting in a miniature submarine travelling through the human body. You will see the drug molecules around you, the actual deformation of the tissues and their healing as well – all in 3D, as you would be actually placed there. Apart from this, we used another technology, classical marker print based Augmented Reality, to give a different, but also unique experience to the visitors. By selecting another menu point within the same app, as they’ve looked on the poster describing the new product, a 3 dimensional animated tissue cut-out with the deformation appeared on it. By moving closer they could actually zoom in into the scene – like they using a high definition microscope. 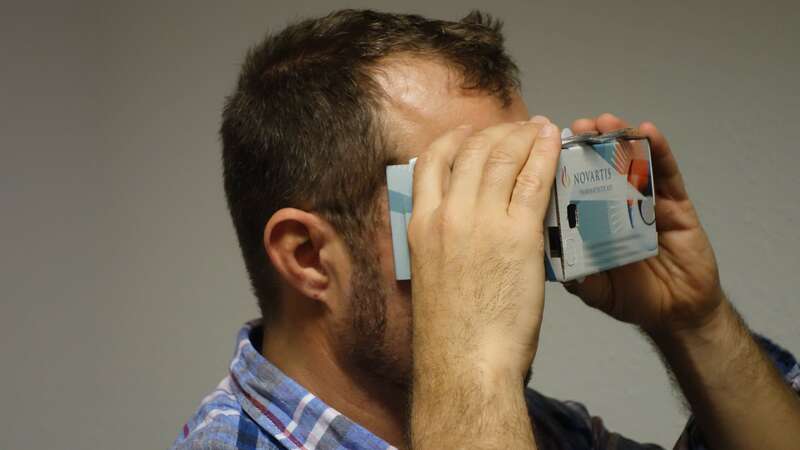 Besides the Zeiss One and Samsung Gear VR devices we’ve manufactured branded VR glasses from cardboard. 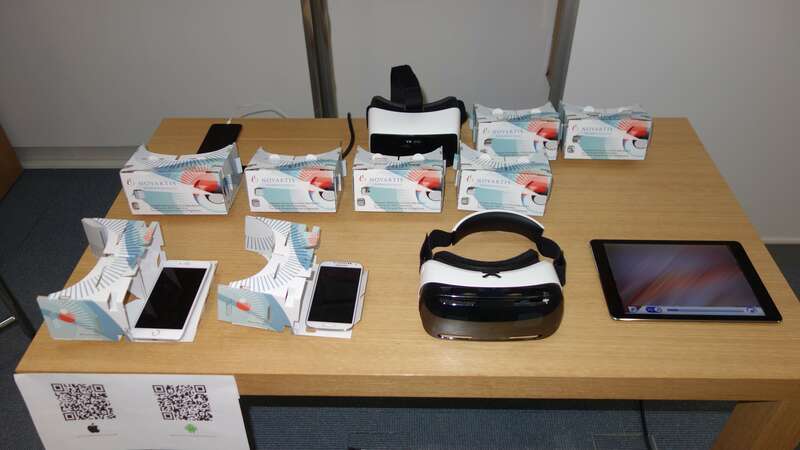 These were used as giveaways so after downloading the application to their own phone, the visitors could either have jump on the miniature submarine or zoom in with the virtual AR microscope themselves – anytime, anywhere. 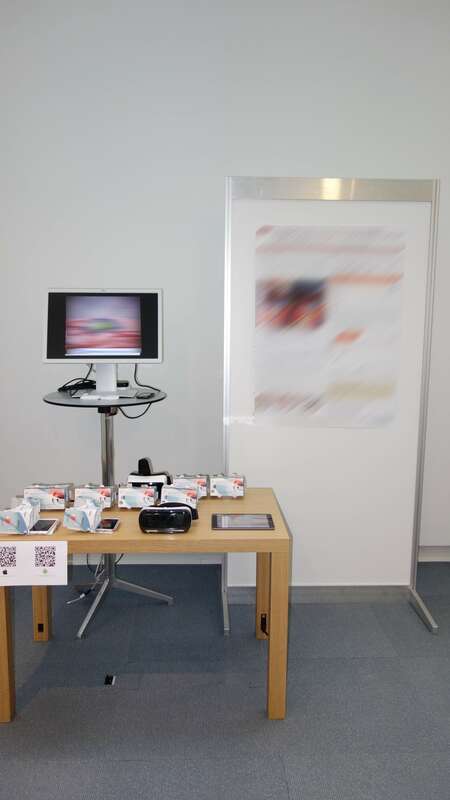 This project shows clearly the potential of VR glasses and connected technologies for training, education, demonstrational purposes.